If you want someone to change…. Have you ever worked hard for a family member or boss or coworkers and then when you presented your work they were dissatisfied? It doesn’t feel good, does it? It doesn’t make you want to keep working hard for that person or people. 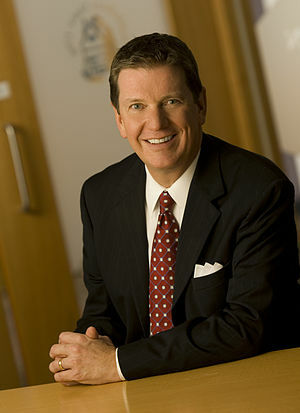 Michael Hyatt has a very successful blog and he travels the States speaking on leadership. In his latest blog post he talks about when he was a top leader in a publishing company and his team had worked very hard for a writer. They flew up to show him what they had accomplished to promote his book, but he didn’t seem happy with their efforts at all. He told them they were not selling enough of his books and scolded them. On the way home, they all felt unmotivated to help the writer in the future. If he had acknowledged their hard work before making some helpful suggestions, the whole situation would have gone much better. I remember once I agreed to take on more housework chores, but instead of being thanked for it, someone angrily said I didn’t do enough housework. I felt as if I already did more than my share, so it demotivated me completely. I didn’t want to take on the additional task at all after that. By the way, Michael started a blog about eight years ago. His progress was slow at first, but now he gets hundreds of thousands of visitors to his blog. Others have done the same thing, and some have reached the point where they can make over $10,000 a month on advertising, selling items, etc. from their blog.